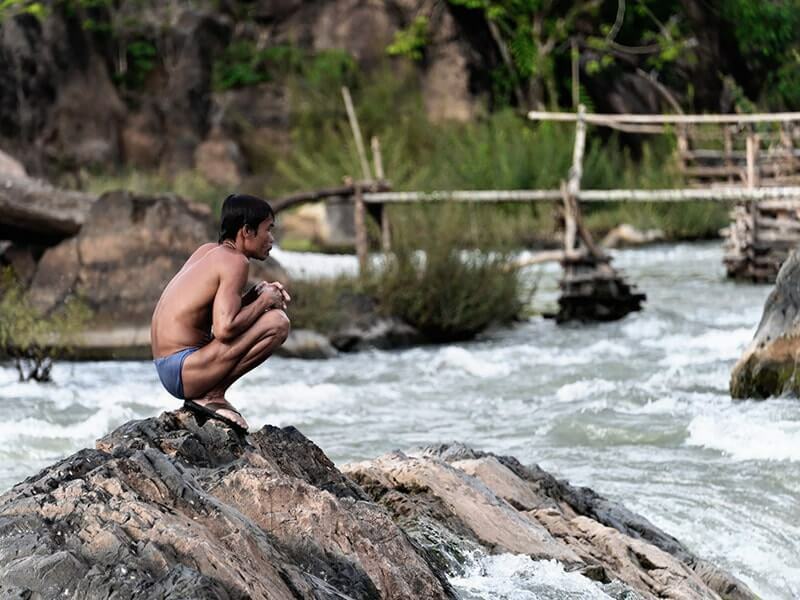 Our 8-day Southern Laos Adventure Tour allows you to discover the exotic charm of Southern Laos. 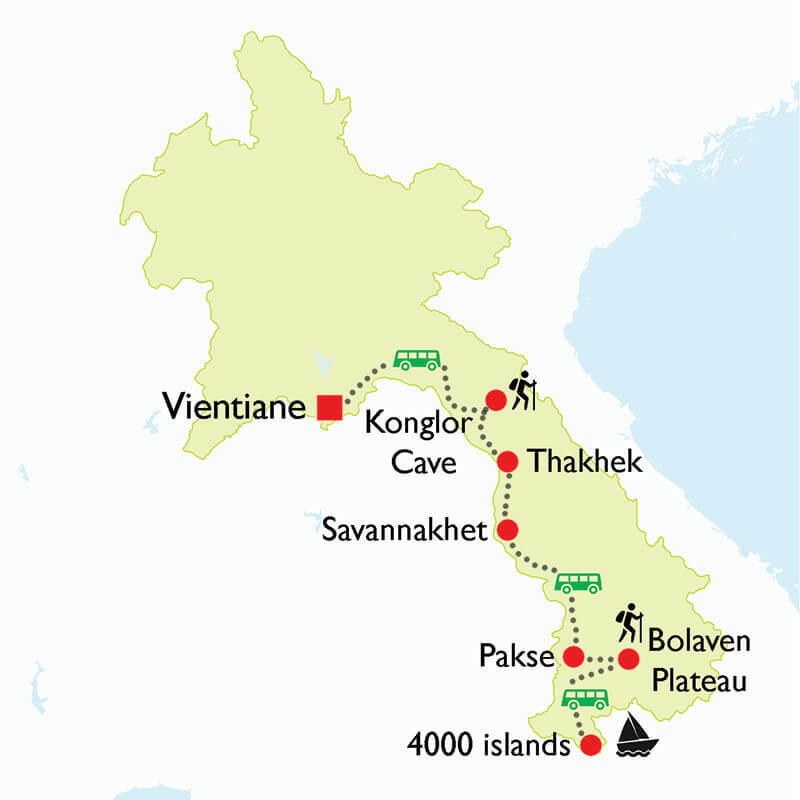 Start from Vientiane, we head to Hin Boun National Park with its breathtaking wilderness beauty. Take part in an adventure of exploring the nature wonder of Kong Lor Cave and journey through this spectacular 7.5 km long limestone tunnel. We also discover the colorful cultures of hill tribe and natural beauties of Khammouane, Savannakhet and Champasak provinces. 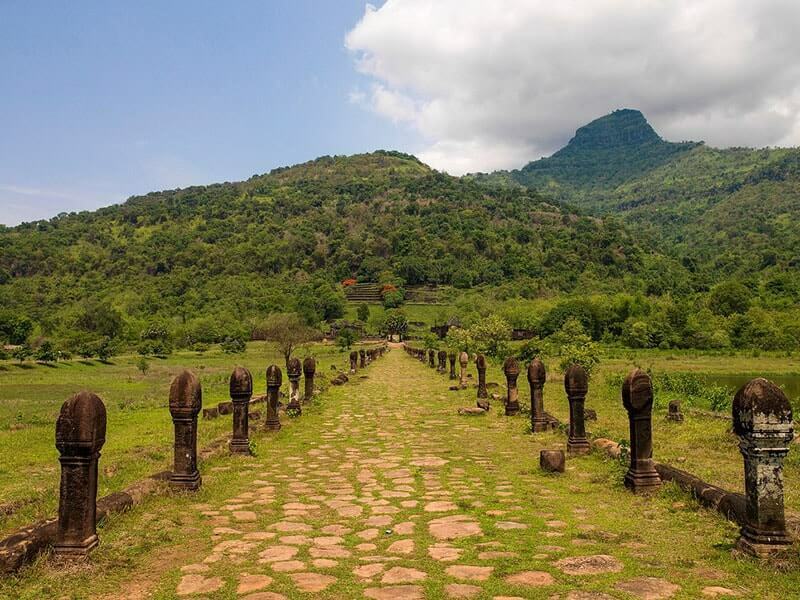 Explore the splendor of the Mekong River, the artery of life in Laos, also known as The Mother of Waters and worshiped for thousands of years on the Vat Phou Cruises. This morning, your Asia Senses local guide and driver will pick up you at your hotel in Vientiane then start the journey along Highway 13 to Konglor Town where you spend the first night of this trip. The first leg of our journey takes around 3 hours, stopping enroute to visit Wat Prabath (also known as “Temple of Buddha’s Footprint”), an important pilgrimage site between Vientiane and Paksan. Actually, there are two temples, Wat Prabath and Wat Phonsanh, but to the locals it’s only known as Wat Prabath Phonsanh. The pagoda of Wat Phonsanh is located next to the Mekong River, approximately 800 meters or less from Wat Prabath which sits right off from Highway 13. After lunch, continue off the beaten track and into Hin Boun National Park and take a two hour ride passing through rugged sandstone mountain ranges, lush jungles and pristine rivers to reach our destination, Kong Lor Town. Arrive in the Konglor Town, check in your guesthouse then spend the rest of the day is free at leisure. You could take a walk through the surrounding villages, chat with local villagers. Have a simple meal at local restaurant. 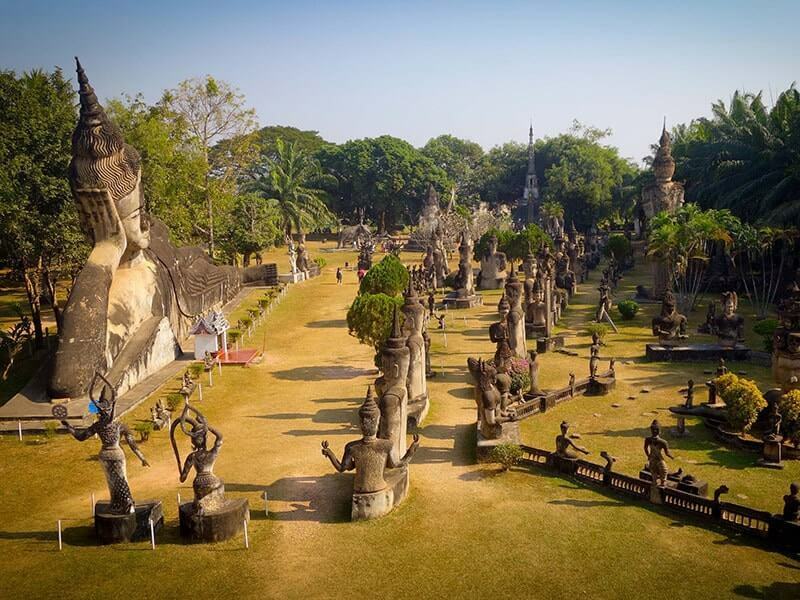 Today, wake early for your tour of one of the geological wonders of Southeast Asia. A soft walk at around 06:30 AM is recommended to explore the villages as villagers wake up and go out to work on the fields. After breakfast, take a 5-10 minutes of short drive towards the Kong Lor Cave. You will be equipped with head torches and life jackets before reaching the main entrance of the cave. Upon entering the cave, take a long tail boat through this spectacular cave and drift underground along the Hin Boun River. Observe the impressive stalactite and stalagmite formations as we journey through the 7.5 km long cave before we see daylight again! Along the way, our captain could dock the boat for you to disembark and wander around the caves. In places, the cave is up to 90 meters wide and 100 meters high. Local villagers are still using the river as a daily transportation route, and emerge into a stunning valley. Once out on the other side, stop for refreshments, then enjoy the scenery and observe daily life activities of locals in nearby villages. Afterwards, we travel “downstream” through the cave, return to the Konglor town. Have lunch at a local restaurant. After lunch, travel south to THAKHEK, a former trading port in central Laos. Here, you will encounter attractive French colonial buildings from the early 20th century. The drive to Thakhek will take approximately 4 hours. If time permits, we will stroll along the Mekong at sunset. Enjoy a relaxing evening. After breakfast, continue our journey to southern Laos. 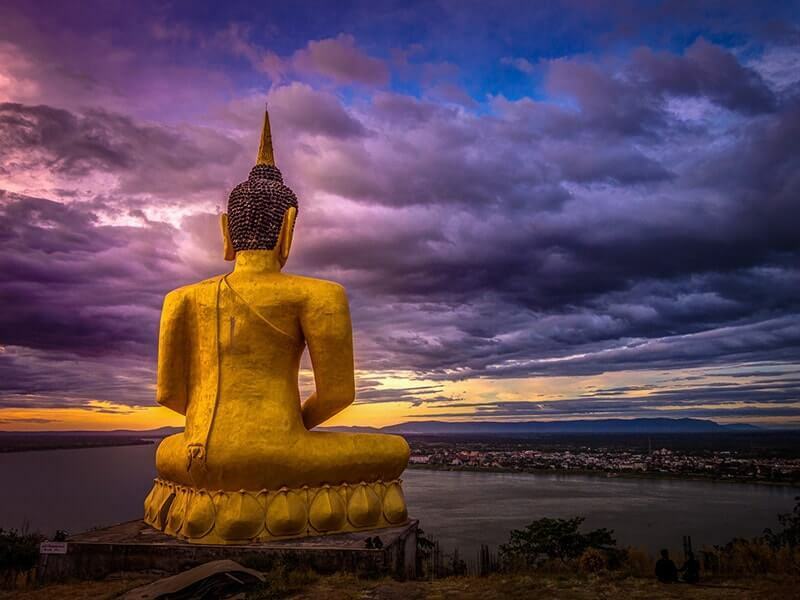 From Thakhek, drive to Savannakhet which takes approximately 1.5 hours, en route stop to visit That Ing Hang Temple, a nine-meter stupa high with beautiful carving and decoration. This sacred stupa is an important place of worship not only for Laotian Buddhists but also Thai Buddhists who live in northern Thailand. 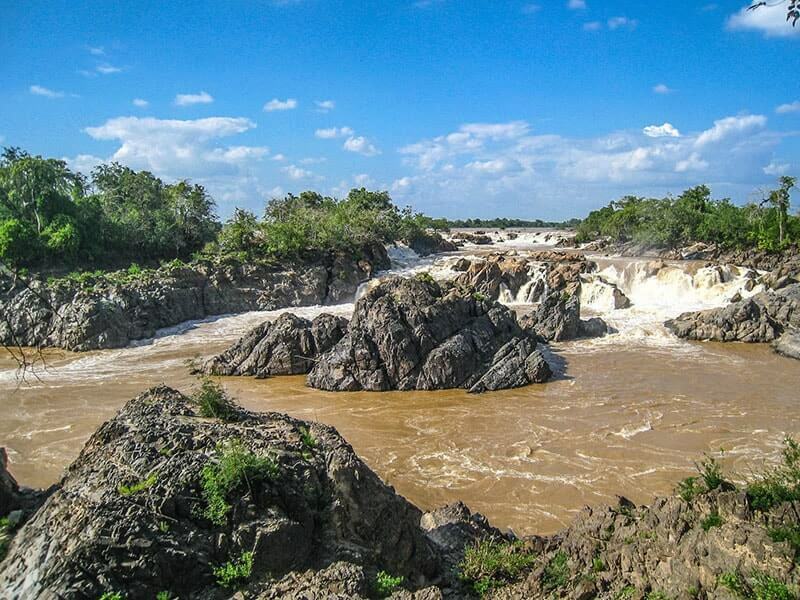 Continue onto SAVANNAKHET, which is well known for its old French colonial architecture and the friendly, sleepy atmosphere of the town which conserves many aspects of Lao traditional culture. Take a short tour of the architectural highlights which include St. Teresa's Catholic Church and various French villas. There is an opportunity to visit Savannakhet Dinosaur Museum, take a look at the dinosaur fossils in here also known as the “big lizard’s bones” as called in Laos. Your lunch will be served at a local restaurant in Savannakhet. After lunch, hit the road again for the drive to PAKSE which takes approximately 3.5 hours. Pakse, the capital of Champasak Province, is one of the biggest cities in Laos and a major transportation hub for southern Laos. Upon arrival in Pakse, check in your hotel. The rest of day is free at leisure. 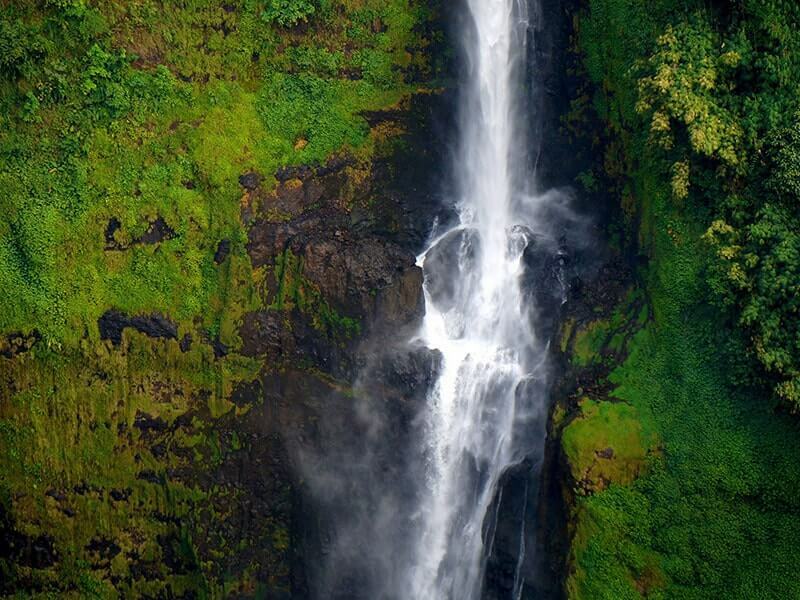 Start our today’s sightseeing by a short transfer (36 km) to E Tu Village in Bolaven Plateau to visit E Tu Waterfall. The plateau is located in an ancient volcano which erupted millennia ago and is full of lush vegetation, rich soil and a year-round temperate climate that is the perfect environment for growing Arabica and Robusta coffee. Along the way, you could see lush, beautiful coffee farms. The E Tu waterfall is located between Pakse and Paksong, offers a serene place for refreshing swimming. Then visit Fane Waterfall, which is 3 km far from the E Tu waterfall. 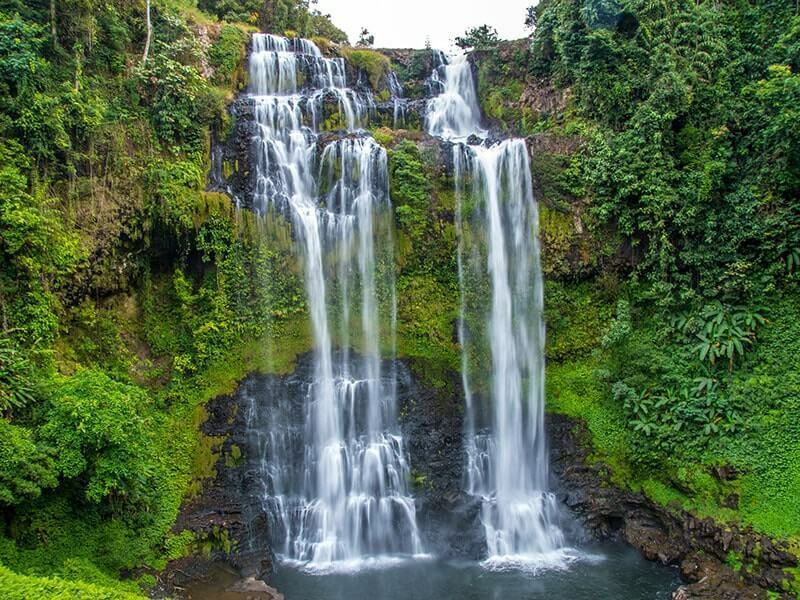 It is the tallest waterfall in the Bolaven Plateau and probably in Laos. Stop to interact with the villagers of ethnic minorities nearby. The hill tribe people are unfailingly friendly; welcoming you with waving hands and smiling faces. 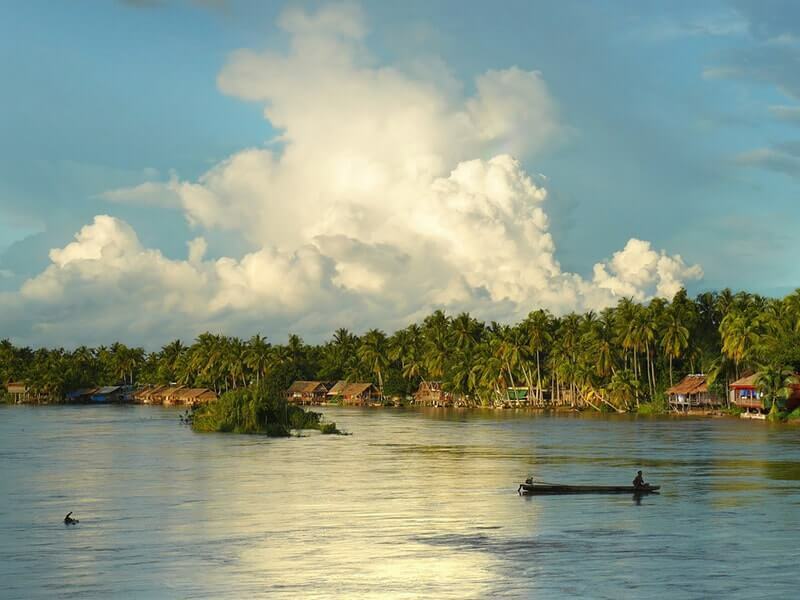 This trip will give you the chance to venture off the beaten track and to discover some of the lesser-known areas of Laos, exploring the wild beauty of this southern region. After that, drive back to Pakse city for refreshment. Relaxing at the hotel and enjoying coffee - specialty of Bolaven Plateau. This morning, transfer to embark on a cruise boat via long tail riverboat, for your 2.5 hour journey to CHAMPASAK. Upon arrival at the Vat Phou boat, check in your cabin(s). Enjoy the lunch on the Vat Phou Mekong cruise with the cuisines amongst the finest of Laotian, Vietnamese and Thai dishes, lovingly prepared and beautifully presented. In the afternoon, explore the Vat Phou Temple Complex – the majestic pre-Angkorian 10th century temple complex and our boat’s namesake. After spending time to visit the museum at the complex's entrance, walk up to the highest temple and take as many photos as you would like. As dusk falls, we transfer you back to the Vat Phou cruise boat for a chance to enjoy the tropical sunset on the deck. Dinner is served on board, while the boat docks for the night alongside a remote Laotian village. Overnight on board on the Vat Phou Cruise. Breakfast is on board as we set sail for the village of Thamo. This is a small village, a few minute walk away from the mysterious hidden forest Oum Muong Temple. Afterwards we rejoin the boat to continue our cruise southwards. Lunch is on the deck, while we leisurely sail closer to the wild paradise known as the 4,000 Islands. Late afternoon, disembark from the boat then walk through the Deua Tia Village, a small Laotian village where the traditional way of life has not changed in centuries. Visit the local school and share some time with the students. Our cruising trip finishes at the most northern tip of DON KHONG ISLAND, the largest inhabited island in the river archipelago. After dinner, the evening is yours to relax and enjoy. While you have breakfast on the deck, the Vat Phou boat cruises down the Mekong to the small village of Veuthong where you board a small boat to meander among the 4,000 Islands to Don Khone. 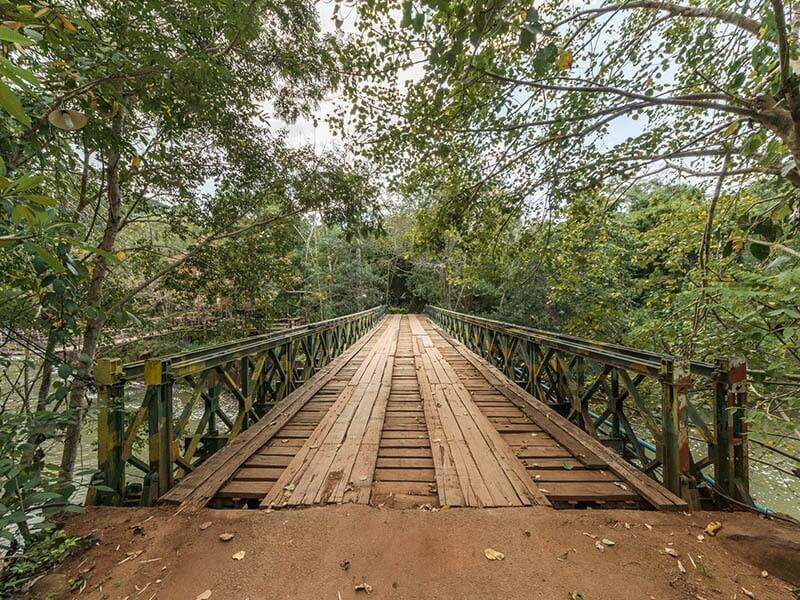 Visit the old French railway, the French colonial houses and walk across the bridge that links Don Khone and Don Det. Enjoy a lunch at a local restaurant on Don Khone along the banks of the river. This afternoon you will visit the Phapheng Waterfall, the “Niagara of the East”. After your waterfall visit, you will be transferred back to Pakse by shuttle bus. Overnight at the hotel in Pakse. 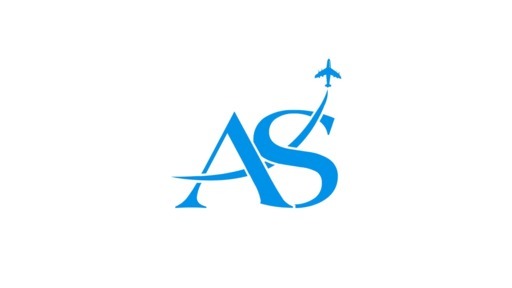 Free at leisure until our guide picks you up then transfer you to the Pakse Airport to take your departure flight. End of our services.